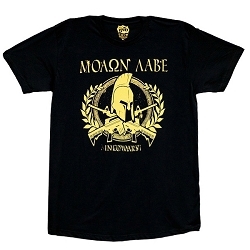 This bold and eye-catching shirt makes a powerful statement and is sure to engage the public. Features crossed AR15s underneath our classic 1776 logo. It also has the famous Join or Die snake along with a patriotic background. The back features a smaller Join or Die Infowars logo just below the neckline. It is time to defend the Second Amendment. 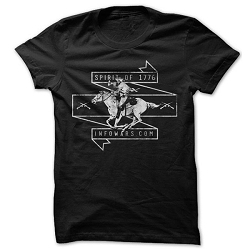 It is time to restore the spirit of 1776.